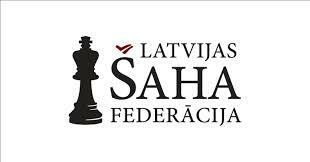 It is my pleasure to finally announce the 5th international chess festival Riga Technical University Open. The festival has returned to its traditional dates after slight changes last year due to Tromso Olympiad. This year it will be held in the format of one week - from August 10 till August 16. Last year the tournament strengthened its positions as the strongest and largest classical chess festival in Baltic region. The biggest names of the festival were GMs with ELO 2700+ Alexei Shirov (LAT) and Richard Rapport (HUN). Many other strong GMs participated, including Eduardo Iturrizaga Bonelli (VEN), Hrant Melkumyan (ARM), Igor Kovalenko (LAT), Daniel Fridman (GER). 400 chess players took part in the classical chess tournaments, including 212 players from 36 countries with 35 GMs among them in the Tournament A. As we have already used to, all these numbers are records in Latvian chess history. This year we will keep the same venue as the last year – the international Exhibition Centre Kipsala that provided last year and will provide this year as well spacious and comfortable playing hall for all tournaments. 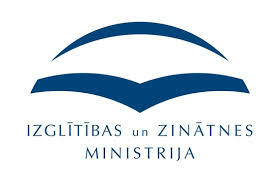 This year the organizers have again slightly changed the format of the festival. All tournaments will fit in 7 days to make the festival even more affordable in terms of time and expenses needed to participate. It means the time limit for Tournament A is decreased to 90 minutes + 30 seconds per move and no increment after move 40. 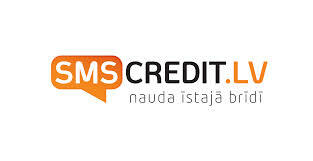 The prize fund of the festival will be 20 000 EUR, 15 500 EUR of them in the main tournament with the 1st prize of 2 500 EUR. As last year we are expecting some top grandmasters to participate in this year’s tournament. Several GMs, including Alexei Shirov (2691, LAT) have already confirmed their participation. As last year there will be a choice among the amateur tournaments where each chess player can find a tournament that fits his/her wishes the best. The tournament B will be 9 rounds open for amateurs with ELO up to 2299 and will have the same schedule as the Tournament A. Two shorter tournaments (C and D) will be played in 7 rounds during the last four days of the festival (August 13-16) with time limit 60 min+30 seconds per move. Tournament C will be for players with ELO up to 2199 and tournament D will be open for players up to ELO 1799. Additionally a blitz tournament will take place on Sunday evening (August 16). As we have already used to, a wide entertainment and cultural programme will be organised, including excursions, competitions and a dinner reception. Riga streets bear it’s over 800-year-long history: the many centuries and rulers, Art Nouveau architecture and Modernism, wooden buildings and masonry. Together with the nice weather in August Riga is a nice touristic destination as well! This year it is possible to play in two consequent Latvian chess festivals – Liepajas Rokade located on the seaside, 200km from Riga and taking place from August 6 to 9 and the RTU Open just afterwards. 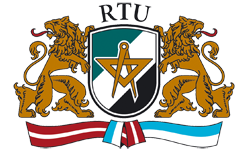 On behalf of the organizers I would like to invite all chess players to participate in the Riga Technical University Open and all together develop the festival to be better and better each year! Hope to see you in Riga!